It is summer and the garden is wild with flowers and green plants. The spring rains have made a big difference but we need more than just sun and rain. We need some friends to help our plants along the way. These little friends we sometimes think of as enemies and we run from them or try to kill them – yes, you guessed it our friends are the bees. Bees are not the bad guy – although I know it hurts if you are stung. Bees really are what the scientists call pollinators. They have a big job to do during the plant-growing season. The bees we are talking about are the most important pollinator and they also make honey. There are lots of kinds of bee but the honey bee is so important. Let’s start by understanding what a pollinator is. Each flower has powdery stuff on it that is needed to make fruit, seeds or new plants. 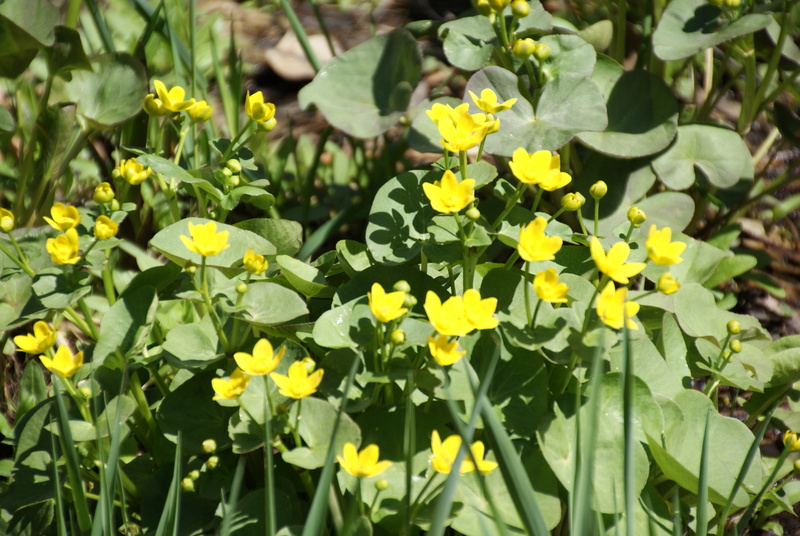 You know this stuff – it rubs off on you when you touch the flower or rub against it. This is pollen. This powder needs to travel from plant to plant so fruit and seeds can be made. Since our plants are rooted to the ground they need a group of friends to help them. This is where the bees (and other insects and birds) come to help. They are the pollinators. Our honey bees are out looking for pollen to make honey. They fly from flower to flower collecting nectar and pollen for themselves but also leave bits of pollen from others plants behind. This helps out our flowers as they grow. This process is called cross-pollination. Some plants will pollinate when the wind blows and others can self-pollinate but about one third of the food we eat come from plants that need cross pollination. They need the bees and the birds to help them out. If you like apples, pears, nuts and tomatoes then you might want to make friends with our honey bees. They all need cross pollination to produce the fruits and vegetables we eat. Now get out your science journal and pencil and head out to the garden. Take time to look closely at the flowers. Can you find the pollen? Can you name all the parts inside the flower? 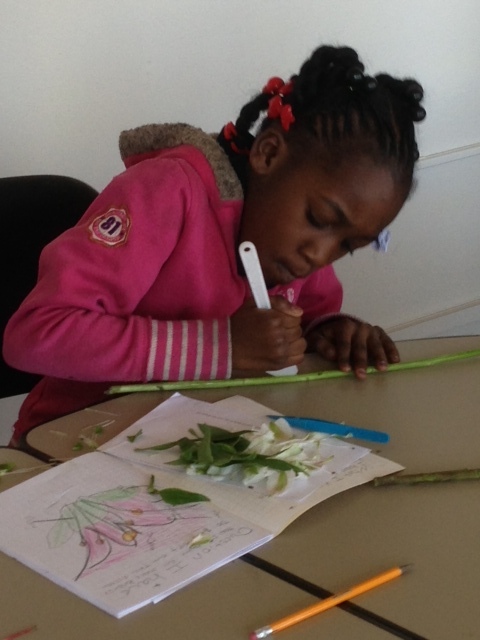 Practice drawing the flower – look very closely and draw what you really see not what you think a flower looks like. We are not make cartoons today – we are using our close observation skills. We are doing observational drawing. petal, stigma, stamen, style, ovary, stem and leaves (where the seeds are made) – we won’t see the roots but you know where you can find those, right? Have fun drawing and reading in the garden. Next we will learn more about our friends the bees! There are two bee hives in the garden for us to learn about. 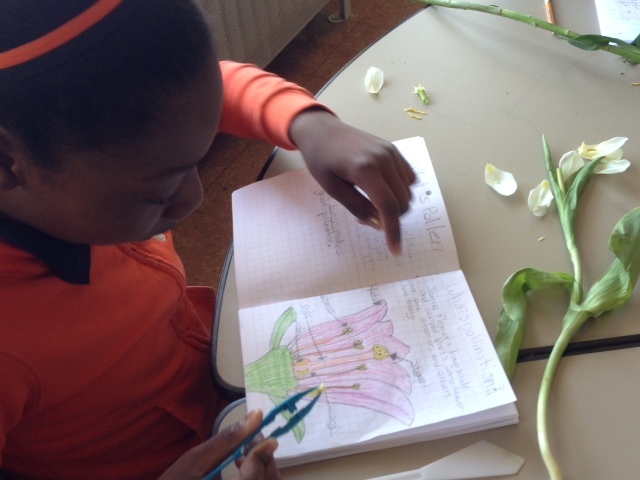 This entry was posted in Garden Learning, journals, observational drawing, science notebook and tagged drawing, journals, science notebooks. Bookmark the permalink.